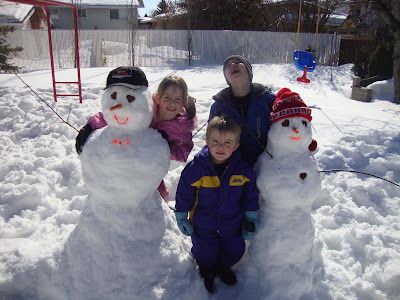 Levi's cousins came for a visit and they had a blast playing in the snow! 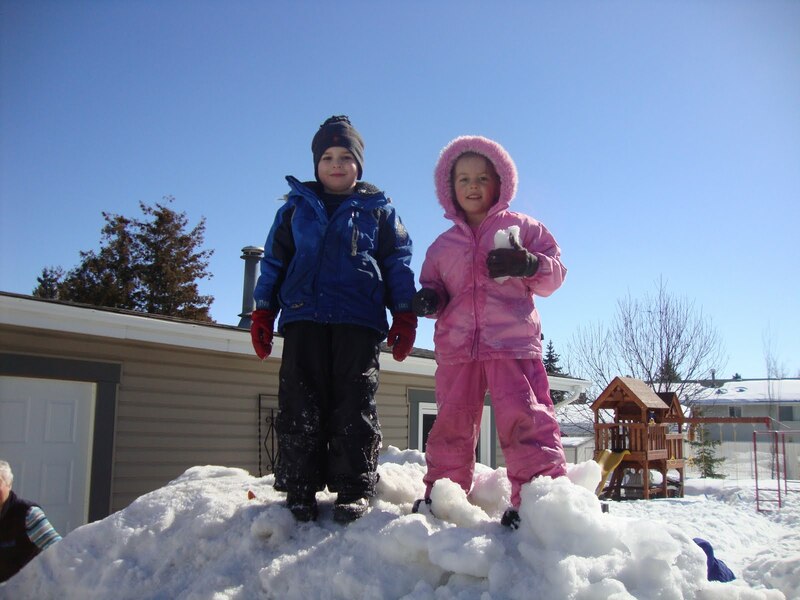 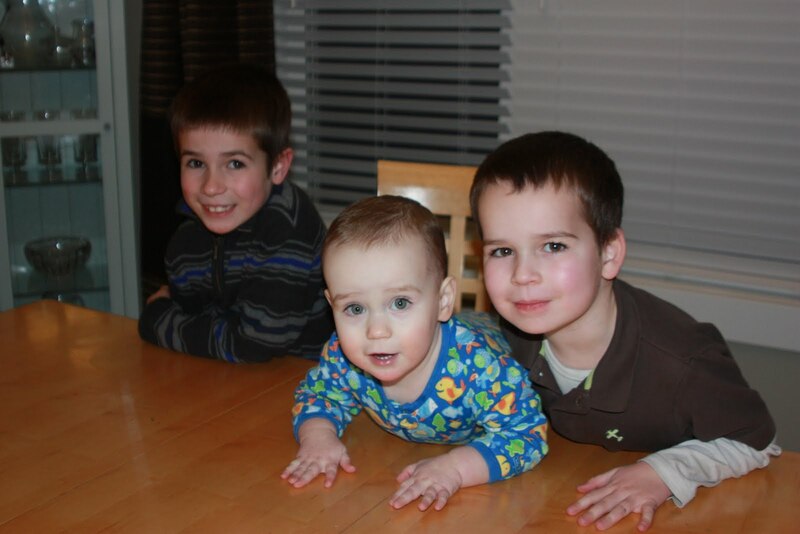 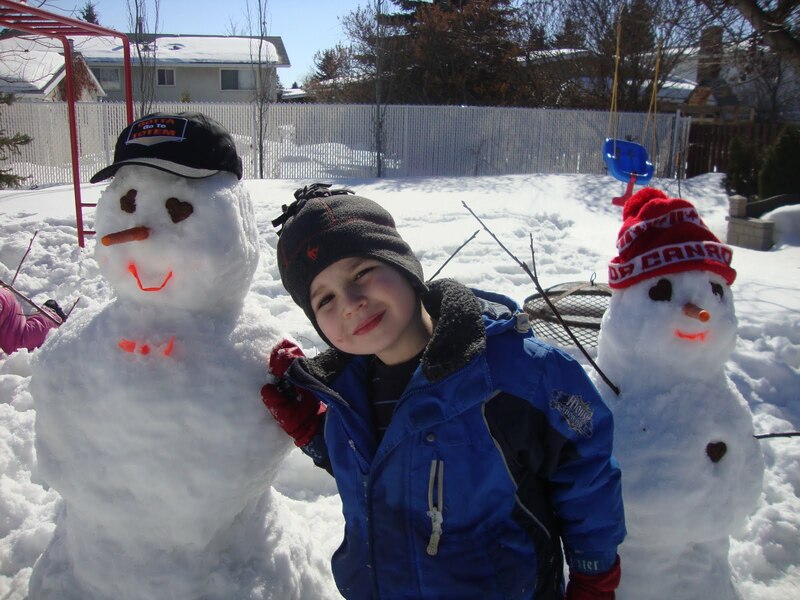 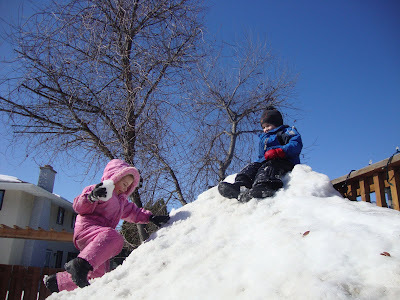 They built snowmen, climbed the big mountain of snow in Oma & Opa's backyard, had a snowball fight and giggled a lot! It sure is fun playing outside in the snow!! 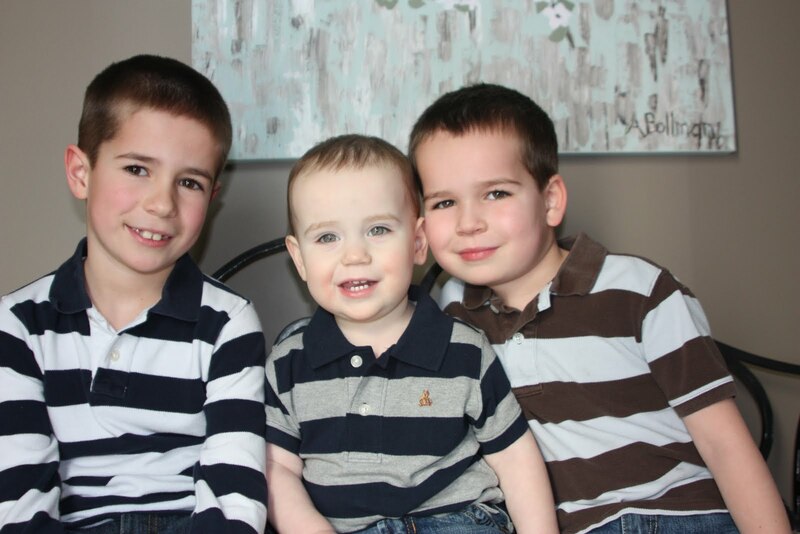 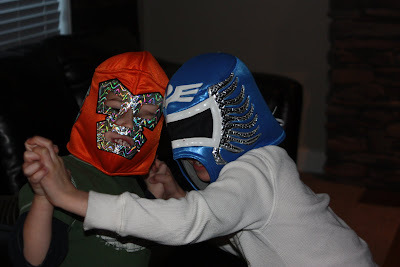 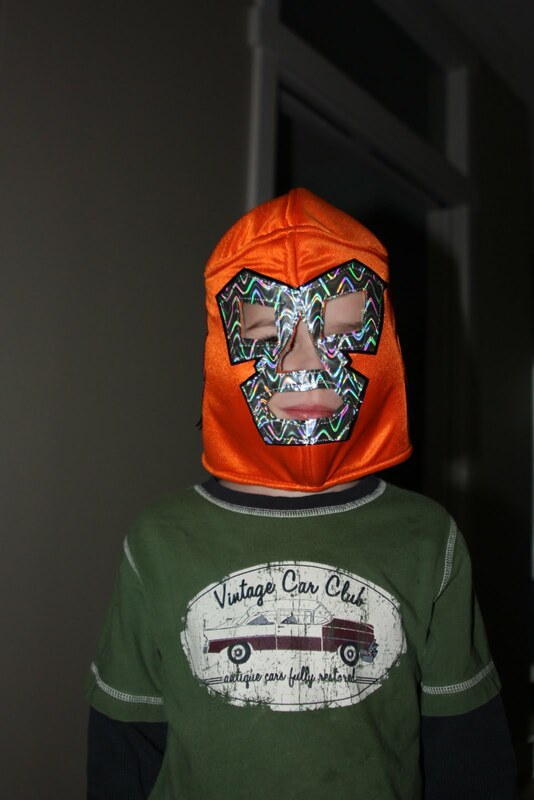 I don't usually dress the boys in matching outfits. 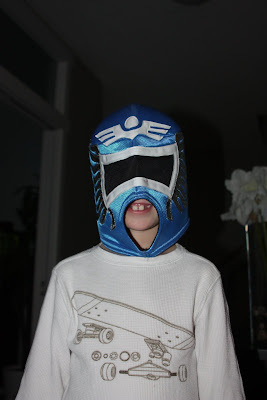 Jakob and Levi pulled out striped shirts one day, so I thought I could put Zack in one too and take a picture. 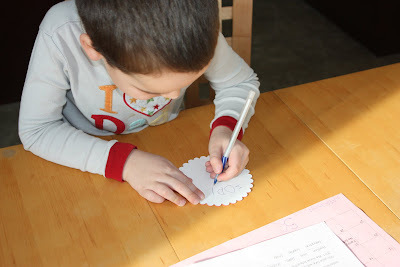 Levi really does not like to write or colour, but for Valentine's Day he was more than happy to write out all of his Valentine's for his class. 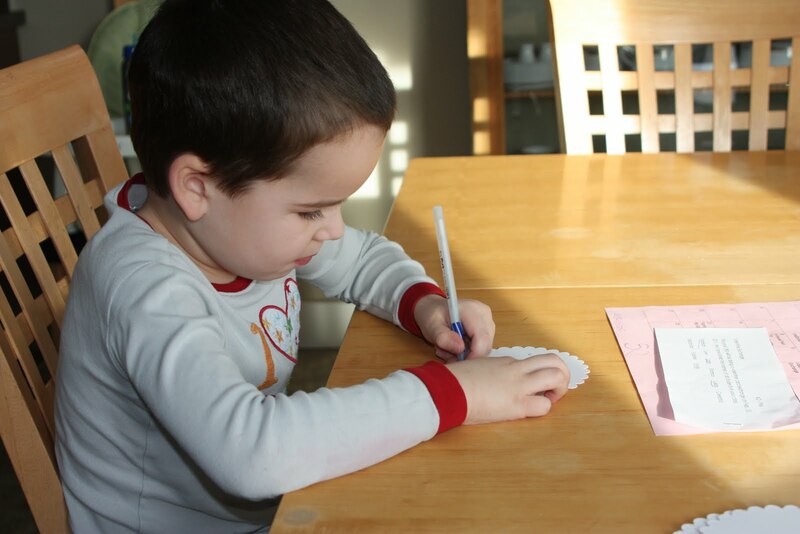 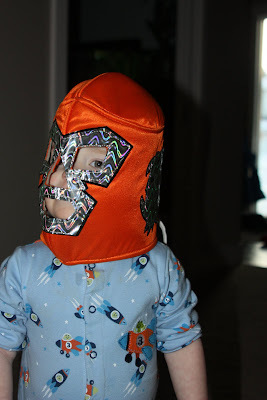 He did a really good job, he knew all his letters and wrote them correctly. 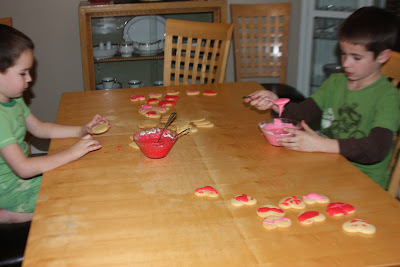 The boys made heart shaped cookies with pink and red icing for a Valentine's Day treat!